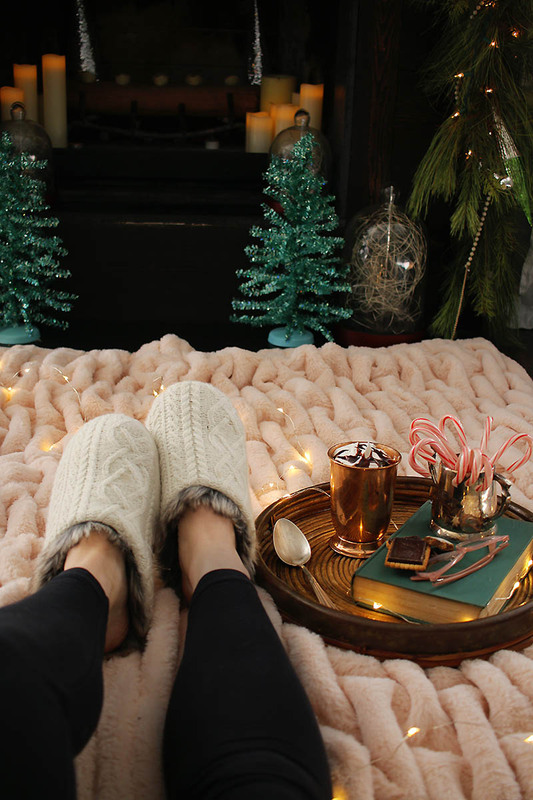 Is there anything better than a cozy Saturday morning with a soft glow of Christmas lights, slippers on your feet, a mug of something warm & your favorite cozy blanket? 1. Imagine where I am as I type this blog post…well if your guess is sitting on the floor of my kid’s bathroom as my daughter enjoys a bubble bath, you were right. She’s singing away as I type. 2. 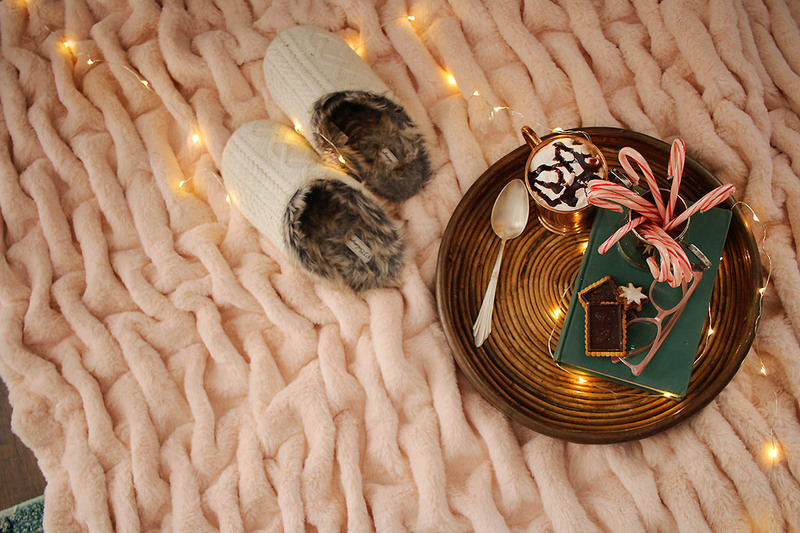 I have a thing for soft, cozy & warm. 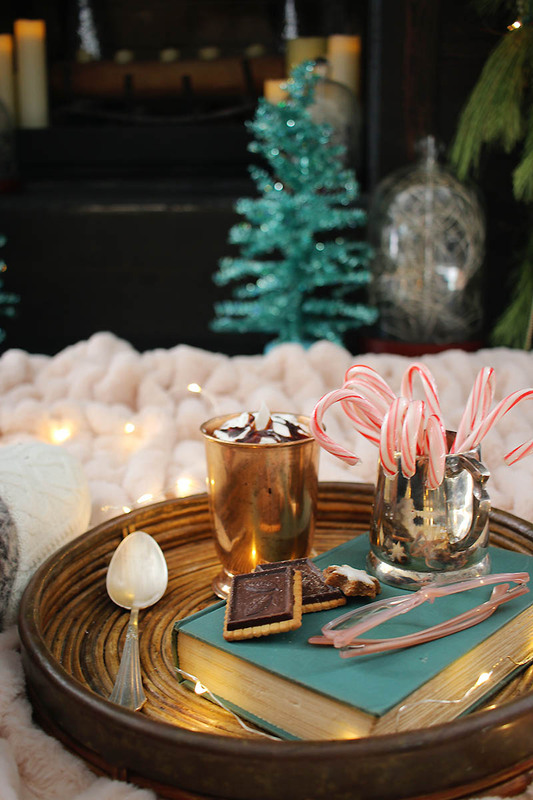 Seriously, I just want to live the cozy life at home. 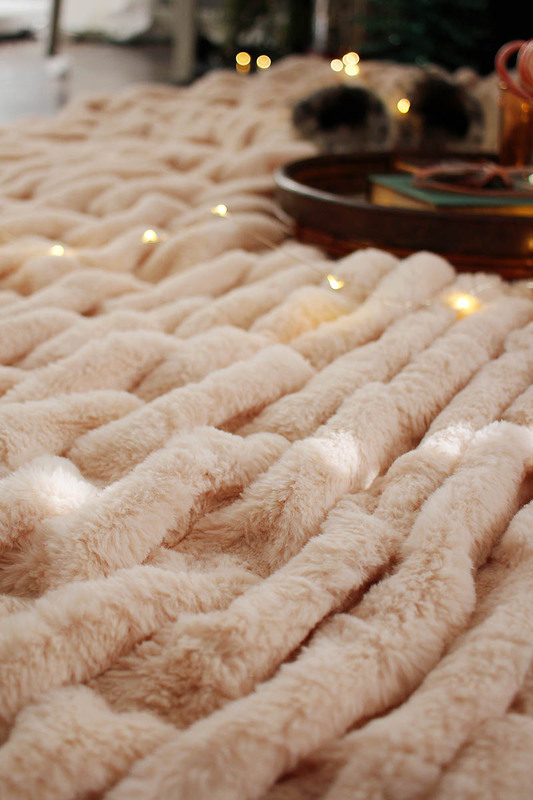 And I recently got this blanket & it is SO NICE! It is way thicker than most of my throws along with being extra soft & cozy! I’ll probably have to get another soon because it’s a favorite when watching tv on the sofa with everyone, I originally got it for my master bedroom refresh but it has been making its way from the sofa to my bed everyday. 3. The hubby has been working 4-10hr days for the past few months, giving us Friday together to hang out, get content shot, go thrifting together & just have some time together. But that is coming to an end, he’ll be back on a traditional schedule…bummer. 4. I’ve been wanting to try a painted tile floor since we have a few tiled areas I don’t see us replacing too soon but they’ve bothered me enough that I want to do something about it. But now I’ve stumbled upon stickers for tile?! INTERESTING. Either way I go, it’ll go on the blog. 5. I’m 100% obsessed with Christmas movies on Netflix right now. Last night we watched The Princess Switch last night & it was so just SO good. Like 90’s, Parent Trap good. Oh so corny but great. If you have any Christmas movies I should watch, leave me a comment. **BONUS** You can win that super wonderfully cozy blanket from Soft Surroundings that I talked about in #2!!! Those photos are fall/winter goals right there! 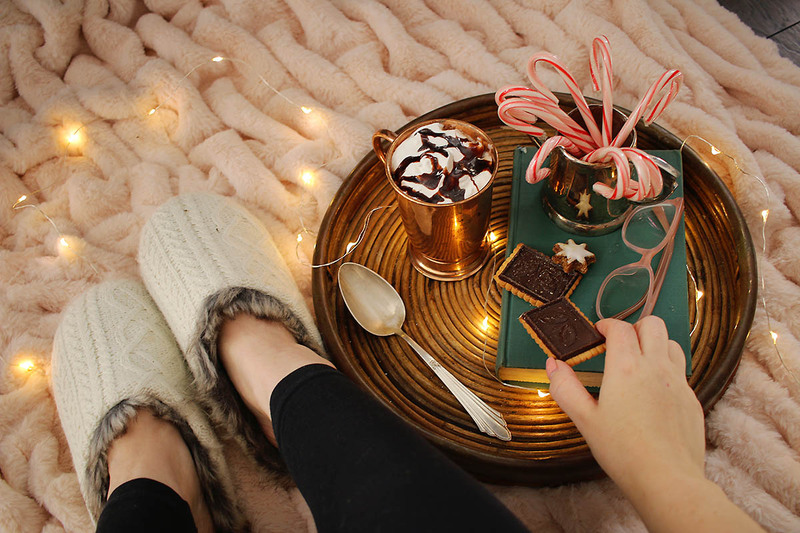 I love snuggling up with cozy slippers, a warm blanket and hot cup of something. thank you for the giveaway opportunity. I invite you to stop by Katherines Corner and enter my giveaways too.